On 7 December 2018, ministers and academics joined young people and Oxfam staff and partners to celebrate the launch of the Youth Innovation Hub in Jamshoro. The Youth Innovation Hub was set up by the Empower Youth for Work (EYW) project to empower young people socially, politically and economically through career counselling, training, mentoring and access to services. 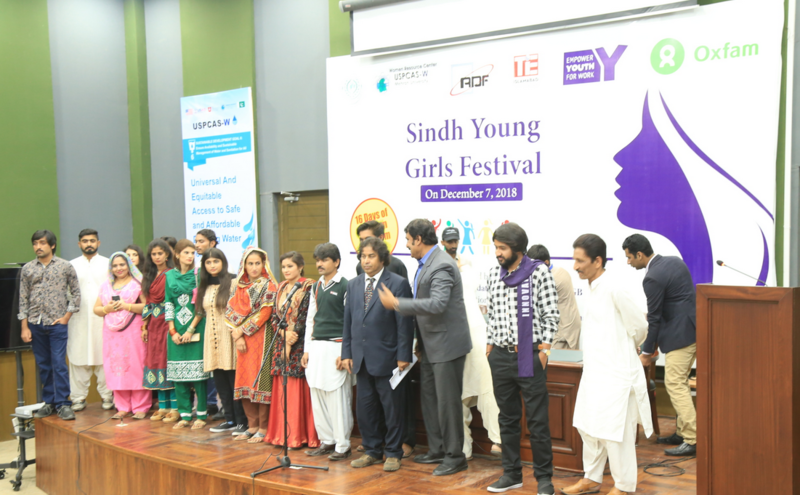 The Hub was launched at a colorful youth-led ceremony, which was presided over by Sindh Women Development Minister, Mrs. Syeda Shehla Raza, together with other dignitaries and representatives of Oxfam and its EYW partners in Pakistan – the Research and Development Foundation (RDF) and TIE Islamabad. Jamshoro, on the banks of the River Indus, is home to one of the country’s oldest universities, Sindh University, as well as Mehran University of Engineering and Technology (MUET) and Liaquat University of Medical and Health Sciences (LUMHS). Despite Jamshoro being a seat of higher learning, youth in the district – particularly young women in rural areas – face many challenges in accessing opportunities, employment, social justice and life skills. The Innovation Hub has been set up by Oxfam and its implementing partners to fill this gap. 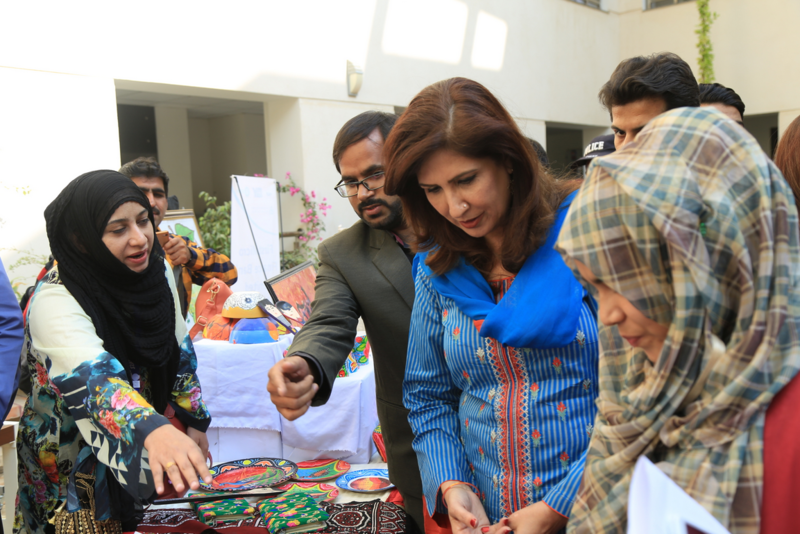 Sindh Women Development Minister, Mrs. Syeda Shehla Raza, visiting the market where they presented handicrafts and shared information to support small businesses, including on micro-finance. The Hub is seen as a ray of hope that will enable Jamshoro’s talented young people to make the most of their potential – by giving them training in entrepreneurial and life skills, and enabling them to run their own small-scale enterprises or to seek jobs in formal employment. Girls and women aged between 15 and 29 years – who face the greatest obstacles in accessing employment – will be prioritized for training by EYW. During the ceremony, two young women from shared their personal stories of empowerment, and were met by thunderous applause from the audience. A beaming Saba talked of how she launched her small-scale online enterprise ‘Cakes for You’ after taking part in EYW training, including skills for enterprise. She now aims to open a bakery for women. Khushbu told the gathering the story of how she set up her handicraft business and is now developing linkages with markets in urban centers. Both the budding entrepreneurs specially mentioned how the EYW program encouraged them and helped them to kick start their businesses. The two young women, who both hail from the small industrial Kotri area of Jamshoro, are passionate about achieving their goals and pursuing their careers as entrepreneurs. 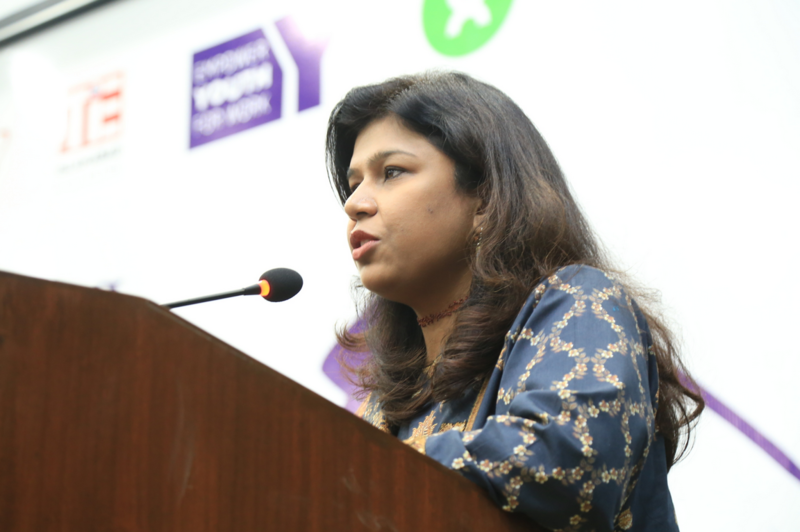 Oxfam Program Manager Seher Afsheen gave a presentation about the EYW project, and explained how it will help to empower youth in rural areas of the district. She talked about the various activities the project has planned, which will focus on employment, life skills, and protection of young girls and women. Oxfam Country Director Mohammed Qazilbash also spoke, shining a light on the importance of working with women and tackling rising inequalities. Minister Syeda Shehla Raza congratulated the youth of Jamshoro on having this state-of-the-art facility that will nurture their talent and help them to become more productive and employable. 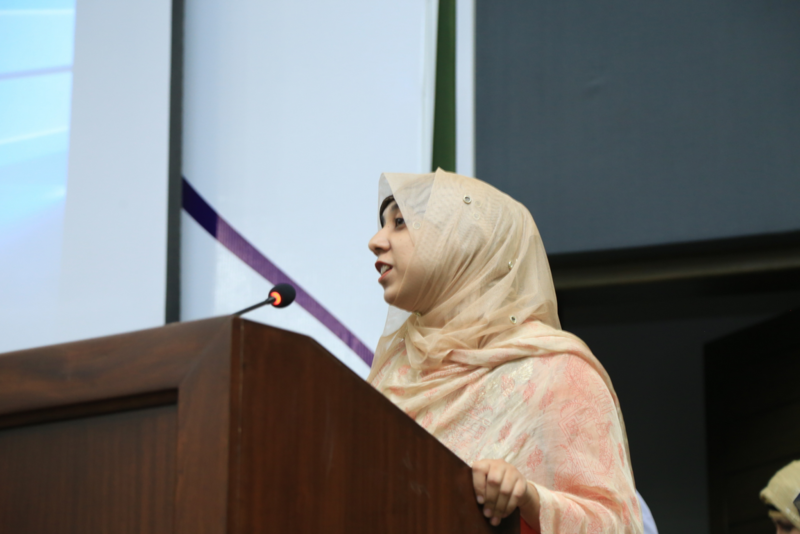 She thanked Oxfam and its partners for supporting the youth of Sindh province. Prof. Dr. Mohammed Aslam Uqaili, Vice Chancellor of Mehran University, Mr. Ashfaque Soomro, Executive Director of RDF, Mr. Masoor Malik, Director of TIE Islamabad and Dr Bakhshal Lashari, Project Director of the Water Center of MUET also addressed the audience.